The actions over the weekend are a direct outcome from the events that happened in Charlottesville over August 11–13, in which torch bearing neo-Nazis marched through Grounds shouting anti-Semitic slogans. Passing up into Grounds from the Bookstore and presumably passing the student center at Newcomb Hall on their way up the Lawn, they came around the Rotunda, which bore these plaques on its south side, and surrounded a group of 25 counter-protesting students at Moses Ezekiel’s statue of Thomas Jefferson. They jeered and chanted at the students, and then they threw kerosene and lit torches at them. Tyler Magill, who was in the Glee Club with me in the early 1990s and who I count as a friend, had joined the students by this time. He was struck by a torch on the side of his neck, which eventually led, a few days later, to his suffering a stroke. More horrors happened over the weekend, including 20 year old James Alex Fields driving his car through a crowd of protesters, deliberately murdering Heather Heyer and injuring many others. I have been trying to write my feelings about what happened that horrific weekend for over a month, and have not been able to. Among other reasons, it feels as though once I started I wouldn’t be able to stop. But part of it is that today’s liberal Charlottesville sits atop a veritable Indian burial ground of undercurrents of racism and secession. This is, after all, the school where the Jefferson Society debated, on January 14th, 1860, whether a state had the right to secede from the Union (the conclusion was affirmative), and where the Washington Society decided in a November 1860 debate that the Southern States should secede; where students flew the flag of the Confederacy atop the Rotunda in February 1861. And it was also the school that was built with slave labor and that ran on the efforts of enslaved workers, and that was founded by a United States President who wrote “we hold these truths to be self-evident, that all men are created equal,” but who held both a peculiar definition of “all” and over 100 slaves. So it is that Charlottesville seems a seat of that original sin of our country, and that our past is now coming home to roost. 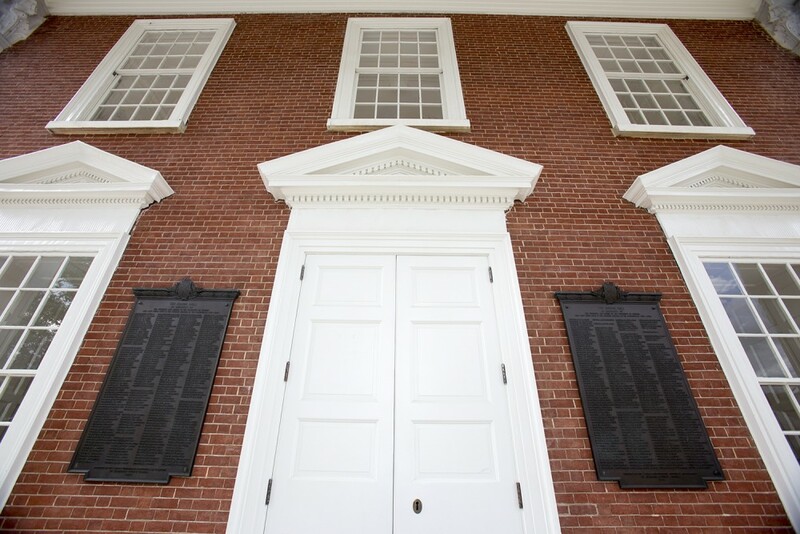 The University’s actions to remove the names of those who fought to uphold slavery from its most central, symbolic building are a good start. I think the decision to display the memorials elsewhere is a good way to resolve the tension I have felt about removing public Confederate symbols. I don’t want us to forget our historic complicity in injustice and violence, but I also don’t want those reminders to continue their mission of oppression.